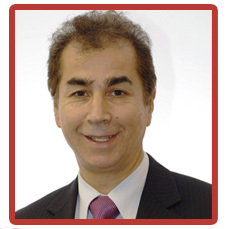 Askar Sheibani is Comtek Group’s Managing Director and CEO. Askar founded Comtek, from a garden shed in Reading in 1989. In the following years Comtek has grown from strength to strength. Askar has since opened further offices in Amsterdam, Frankfurt and later in Deeside. The Deeside operation became Comtek’s European headquarters in 2006. Askar’s vision for a successful business consists of more than generating good profits. He believes businesses should regard themselves as integral and accountable elements of the wider community and society at large. Business and economic development without community development is not sustainable. In order to implement his socially-responsible business philosophy and influence other community leaders, Askar regularly devotes time to working closely with business communities, local authorities, and the Welsh and central governments. 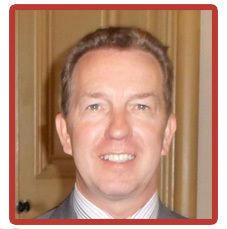 John joined Comtek in Late 2012 as group director and vice president of business development. John has experience spanning more than three decades. Most recently, he was the managing director at Nortel Networks, a position he had held for close to five years. Prior to this, he held a variety of positions within Nortel, including leading engineering, quality and manufacturing operations at Nortel’s Operations Centre in Belfast through the 1990s and during the last decade running Nortel EMEA’s Business Operations and Supply Chain Operations including logistics, repair and customer service. A member of the Institute of Directors, Freebairn also sits on the board for the Centre for Competitiveness in Northern Ireland and is on the SEMTA (Sector Skills Council for Science, Engineering and Manufacturing Technologies), Northern Ireland. 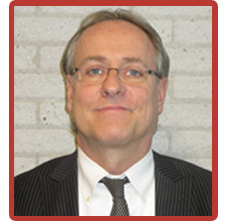 Alexander Radius is Comtek Holland’s General Manager in charge of running Comtek’s Dutch Office. Alexander has many years of experience in setting up distribution-channels within Europe, especially in German speaking countries and The Benelux. Alexander joined Comtek in 1997 and is running the Dutch operation which is responsible for offering the pallet of services in mainland Europe which the Comtek Group of Companies offers.